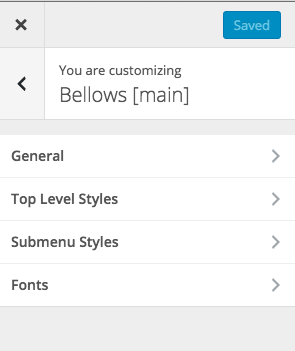 You can use the WordPress Customizer to customize certain Bellows settings. In your admin panel, visit Appearance > Customize. Or on the top admin bar, just click the “Customize” button. 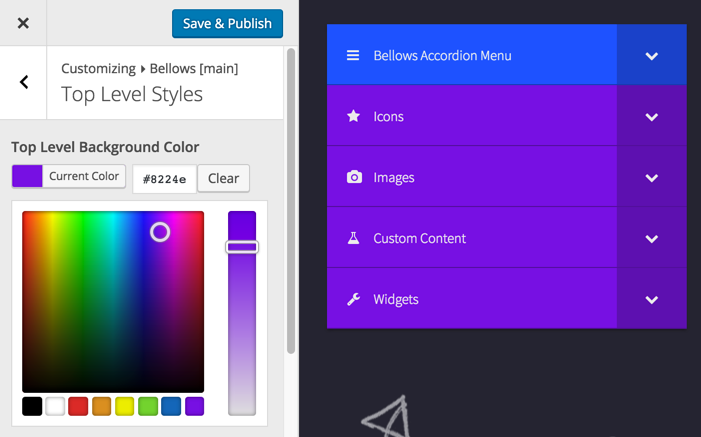 On the left side of the screen, click one of the Bellows sections. There will be one section for each Configuration you create. 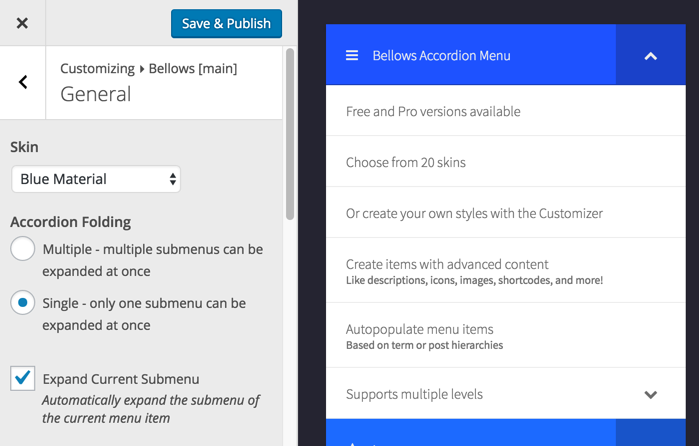 By default, there will be 1 Configuration – Bellows [main]. 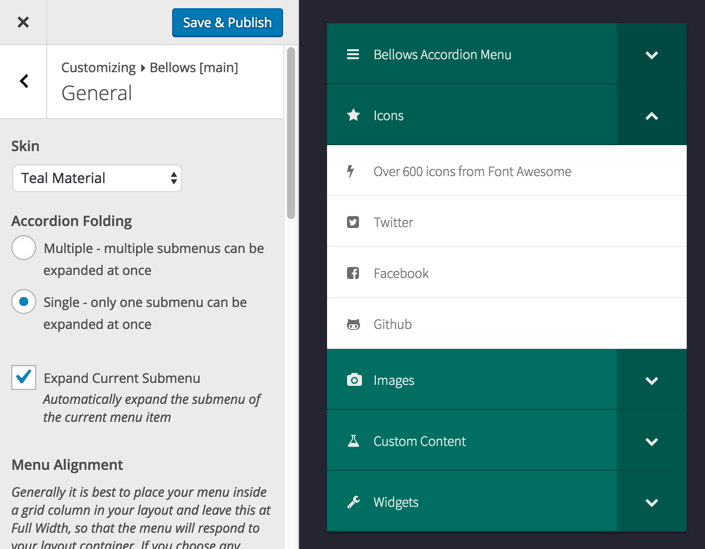 Inside the Bellows configuration section, you will see multiple sub sections. 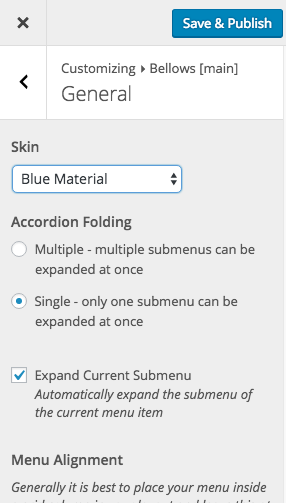 Each subsection has various settings you can configure. When you change a setting, a preview will appear on the right of the screen. Once you are satisfied with your changes, you can click Save & Publish to make your changes live on your site. 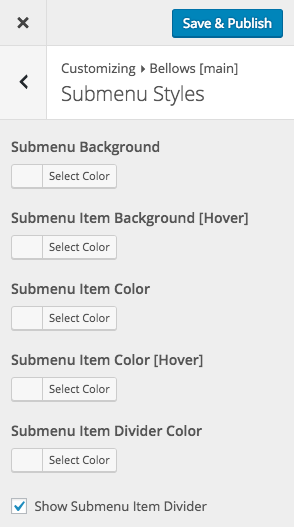 If you want to discard your changes, just close the Customizer. 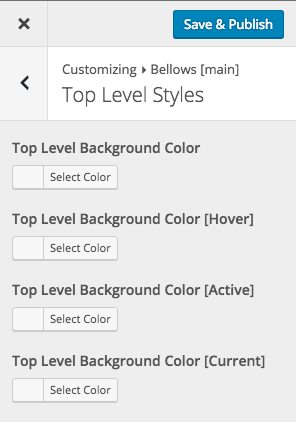 The Top Level Styles section controls the styles specifically of the top level of the menu – the part visible when all submenus are collapsed. These settings will override the styles for the currently selected skin. 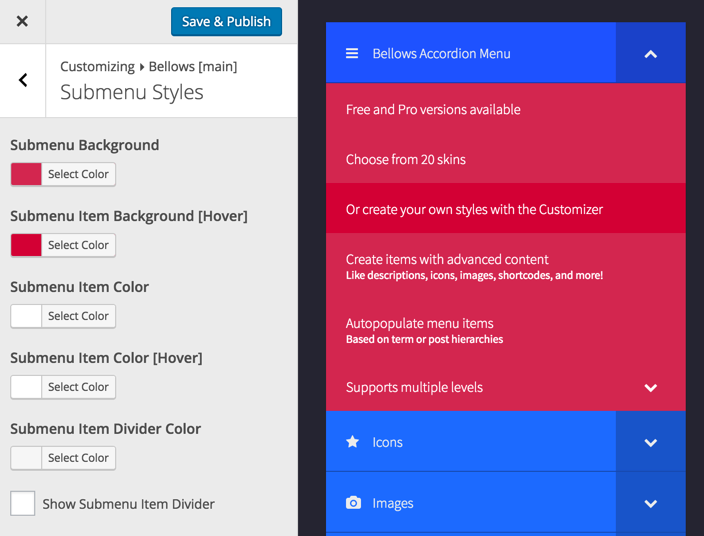 The Submenu Styles section specifically focuses on the styles of submenus and their items. These settings will override the styles for the currently selected skin. 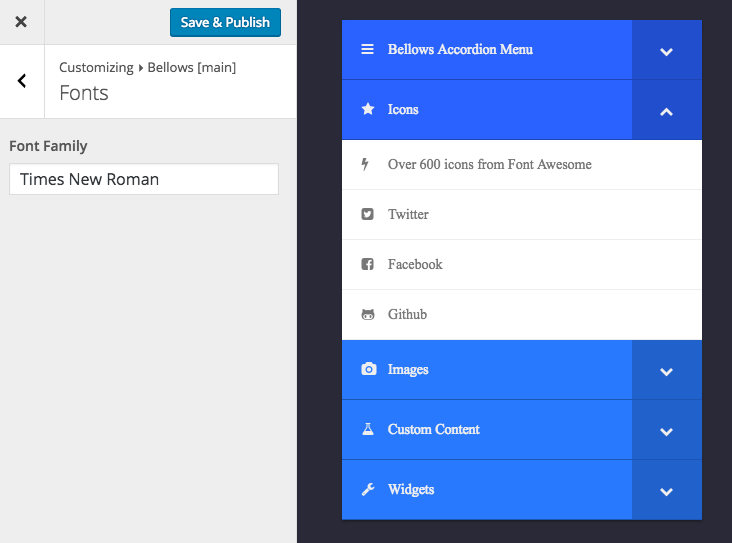 You can change the styles and preview them before applying. 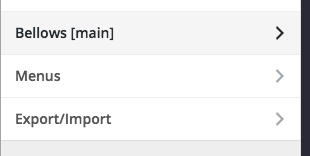 Remember, this does not actually load any font assets, it just set the CSS font-family property.